In the last week of 2016 I got a bad case of the flu. For about two weeks I was sick at home with a fever, muscle ache, headache, and a bad cough. I got better, but the cough remained. After six weeks, I went to see my doctor, and he said that it was normal for this flu (he suspected that it was a strain of the Mexican flu from a few years ago). I did get some antibiotics, in case there was an infection or something bacterial going on. Didn’t help, of course. I knew that this situation was alarming. I insisted that I wanted to see the local ENT specialist, who is connected to the conservatory where I studied. I got an appointment, he looked at my vocal cords, and it was clear immediately: my right vocal cord was moving at a slower speed than my left vocal cord. The difference in speed caused the diplophony, and the cords didn’t close properly either, causing the hoarseness. He didn’t really know how to treat it, but he sent me to a speech therapist to try and fix it, because you never know, it just might help. So I went to the speech therapist, deciding to give this a try. She decided to use the lax vox technique (Voice Bubbling Therapy), where you sing through a tube into a container full of water. The deeper you stick the tube, the more pressure you need to give, and somehow this is supposed to relax the vocal cords and make them work better. It didn’t help me, though. At all. I was getting desperate. It was April already. Three months has passed without my voice getting any better. Would I never be able to sing again? That was almost unthinkable. In my despair, I did something that I hardly ever do: I posted about my problem on Facebook. My own research on Google said that there is such a thing as vocal fold paresis, where for some reason (partial) paralysis occurs in one or both vocal cords. This sounded really scary, but it came closest to what I thought what was going on. I got some kind reactions from musician friends, wishing me well, or recommending speech therapists they knew. But I also got a reaction from another singer, who had had the same problem, and who had overcome it after struggling with it for years! I was over the moon, because someone seemed to understand what was going on, and better yet, he lived only 10 kilometers away. So I took an afternoon off from work and went to meet him. Maurits is about the same age as I am, and he studied at the Royal Conservatory as well. He had this problem during his studies, and it was much worse for him. He almost had to give up singing entirely. But he didn’t. Maurits tried to get help with his problem, but nobody really knew what was going on, so they couldn’t help him. That’s when he decided to help himself, by trial and error. He started by throwing out of the window everything he thought he knew about proper singing. Things like breathing low, having an open throat, being grounded, you know, all that stuff that our teachers tell us to do. And he struck gold and managed to rehabilitate his voice. He was very interested in my case. He had helped another person with this problem a year earlier, but she was not a classically trained singer like me, and she was an amateur. Maurits was curious to see whether it would work for me too, and what my perspective was from a colleague point of view. So we got started right away. In the beginning, we worked on getting everything up. Pulling up my shoulders, pulling up my ribs, breathing high, lifting the larynx, thinking above my head. And lo and behold, I was able to sing a bit higher again. Previously, I was only able to go up to an f1 (!) or so, but now I could go up higher. We tried to work based on reflexes, for example, making a high sound by imagining how it feels when you are suddenly hit by a wave of cold water. Singing like a shy little girl, without much body. We only worked with my head register at first. No forcing, just creating space and exploring what was there (or not). When I was able to sing higher again (which felt as if I had to imagine singing an octave higher than usual), we started to intensify the sound. The vocal cords are stretched out when singing high notes, which forces them to be closer together. Just think of a balloon, where you let out the air and play with the pitch by stretching the entrance more or less. I also had to start singing from “closed” cords (instead of the open pipe that was preached at the conservatory), and I had to resist my larynx moving down. This helped getting my right vocal cord to take part again. It had to play along. Once the higher bit was working again, I slowly started to move to lower pitches, integrating them in a similar way. While I was working and playing with my voice, I discovered all kinds of fun stuff. For example, I found my flute register by accident when walking home from the tram! I also discovered throat singing, where the tone that sounds is actually an octave lower than the one you’re singing. All this because I was experimenting with closing the vocal cords in different ways. Even though it was hard, and I didn’t know yet if any of this would really help me get back to singing, it was becoming a fun journey of discovery as well! After a couple of sessions, my voice became more stable as it was getting used to the new way of singing, and I started to have a bit more faith in the recovery. I went to see Maurits about once a month, and we experimented with different styles of music. In the autumn I was singing Puccini and Mozart concert arias. It turned out that this rehabilitation was also an excellent opportunity to generally improve my technique. Just like Maurits, I had been taught singing at the Royal Conservatory, and even though the intentions of the teachers there were good, their teaching in some ways did more harm than good. They asked you to relax, breathe low, and give support. These things are mutually exclusive. If you interpret support in this context, you will just sort of lean in your body, drop your larynx, and wonder where your breath went. You will also start to push and force your breath (which you’re not allowed to do, but how else could you sustain your phrase with that posture?). Instead, you should sing with energy, movement, and a high posture. Just look at Pavarotti, he did it too. 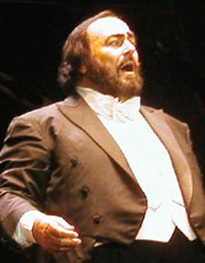 It’s not a coincidence that those bow ties of opera singers are almost touching their chins when they sing! At the end of the year, I was convinced that this new way of singing was there to stay, and I believed that I had recovered. I do still notice that my voice feels differently from before that flu, just like my knee never felt the same again after having a cruciate ligament reconstruction in 2011. But I can work with or around it, and I think that the fact that I very consciously know what I’m doing actually has improved my singing. I didn’t write this blog post until now, because I was aiming to write it after singing my first concert post-rehabilitation. However, I have not yet had the pleasure to do so, and you know what, I may not ever. I want to write this stuff down anyway, because maybe there are other singers in the same predicament, googling their symptoms without finding any solutions, desperate, just like I was. I want to add to the body of knowledge on the Internet. I also want to write about this, because it is very hard for singer to share their vocal problems with the world. But you know what, none of us are perfect, and we can’t postpone performing and sharing our art until we are. That way, the world would never hear anyone sing. In my case, I think that that flu damaged something, but I can’t be sure. And during the rehabilitation I found out that there is still so much to learn, so much to do, technically as well as artistically. I choose to see it as inspiring instead of judging myself for not being there yet. I’m done being a perfectionist. By the way, during this year of rehabilitation, I have realised too that the singer’s life is not for me, right now. It may never be again. I don’t know. I just don’t have the energy for it, and perhaps not the temperament. And that’s okay. When I partially gave up singing back in 2012 to pursue a more stable IT job, still believing that the combination would give me the best of both worlds, I found out that combining the two was much harder than I thought. But the singer’s life gave me so much stress before that that I could not afford to choose to be a singer 100%. The IT job asked a lot from me too, and I didn’t have much energy left to sing. I resisted giving up singing in favour of stability and security, and mourned my not being an artist anymore. I felt like a traitor to my core. But not anymore. I have found out that I can still enjoy music, and singing, and that anything is still possible if I really want to. I just accept that I don’t want to have a singing career, right now. I love singing so, so much, but I find the stuff around it, like auditioning, networking, administration, lack of financial stability, irregular hours, and late nights, very tiresome. I have found new joy in composing, writing poetry, painting, and all the other things that I do to express myself. And singing, just for me. I don’t have to prove anything, and that is very freeing. Wauw! Ik wist dit allemaal helemaal niet! Wat onwijs fijn dat je weer zingen kunt. Ik ben ook benieuwd naar jouw verhaal! Een keer op je blog, of een keer live met een theetje erbij? Wat mooi om dit te lezen, je geeft een kijkje in je binnenste, dapper om je zo kwetsbaar op te stellen, bijzonder om zo’n rijpe vrouw als dochter te hebben….